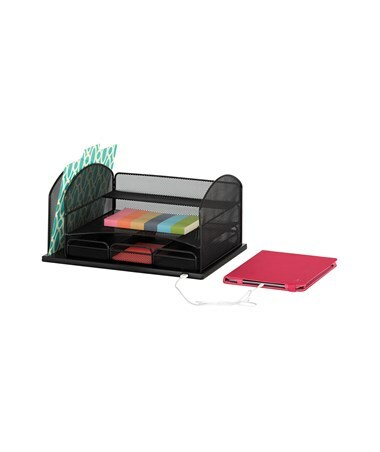 The Safco Powered Onyx Organizer with 3 Drawers is a multi-function desktop organizer that is designed to cater to modern needs. It features a USB charging port that can be used for recharging tablets, smartphones, speakers, and other devices. Also included is a five-feet-long cord to be used for charging. For storage and file and supplies organization needs, this unit has a horizontal letter tray, small top tray, three small drawers, and a vertical file section. 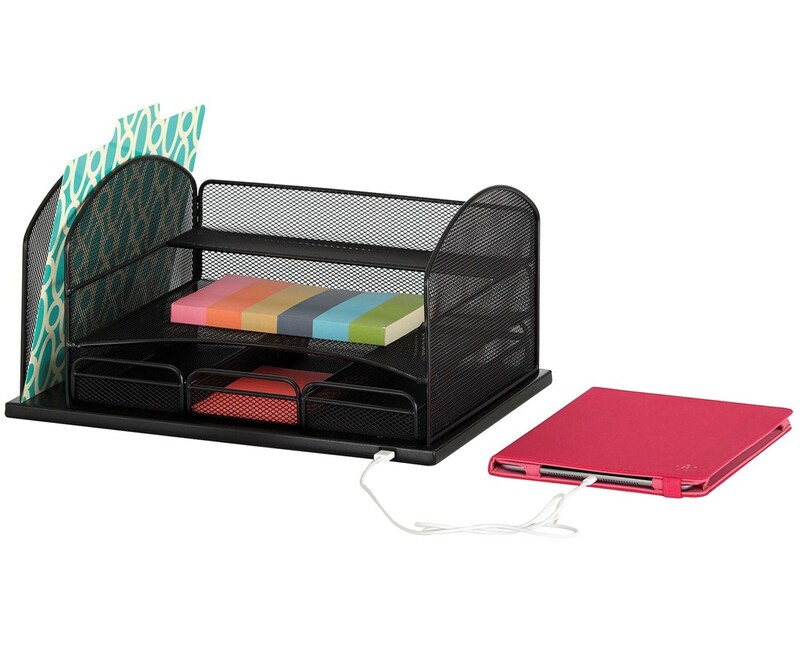 This desktop organizer is made of steel mesh with a durable powder coat finish.